A new year is about new beginnings and that is exactly what happens to Scrooge, as we know from the classic tale, A Christmas Carol, but also for Jacob Marley, the illustrious ex-partner of Scrooge. The man we know so little about...until now. Bennett has taken the beloved classic and flipped it so we can see things from Jacob's point of view. Unlike Scrooge, Jacob came from a loving family. What turned him into such a harsh, grasping soul? It's hard to say, but one thing is certain, he was instrumental in turning Scrooge into the same kind of man as himself. In fact, even more so in his greed and unkind nature toward his fellow man. When Marley departs this earth, he repents and realizes what he has done to people, and to Scrooge in particular. This is Jacob's story of redemption on the path to redeeming Scrooge. I was very excited to read this book, as A Christmas Carol is one of my favorite books of all time. I am so glad I did. Another classic tale of second chances and how Christmas can be the time for us to forgive and learn and grow, to become better people, to ourselves and those around us. 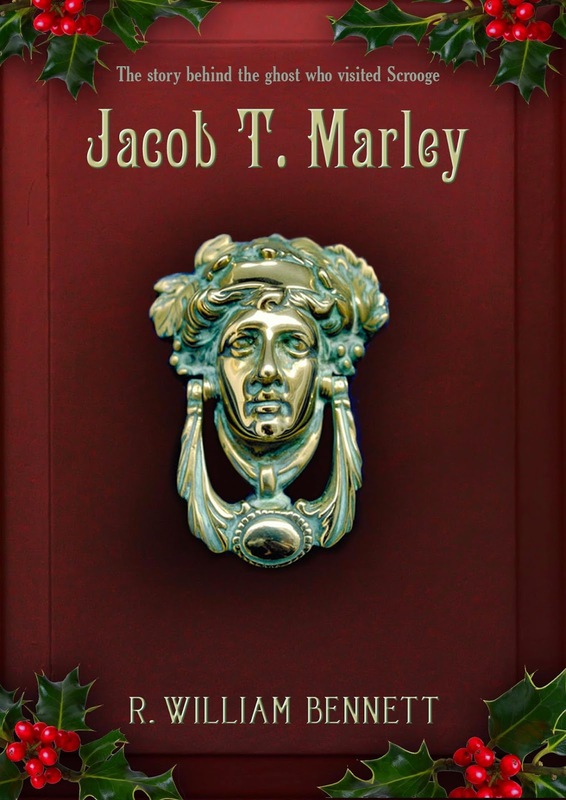 Jacob T. Marley deserves to be on everyone's Christmas reading shelf to be read each year, reminding us of the true meaning of Christmas and really, what being a good person is all about. “Marley was dead, to begin with . . .” These chillingly familiar words begin the beloved classic A Christmas Carol by Charles Dickens. Now R. William Bennett rewinds the story and focuses the spotlight on Scrooge’s miserly business partner, Jacob Marley, who was allowed to return as a ghost to warn Scrooge away from his ill-fated path. Why was Marley allowed to return? And why hadn’t he been given the same chance as Ebenezer Scrooge? Love the sound of this one! Never really thought of what happened to Marley and why he turned out the way he did, but now I'm curious. Hey I might just have to read this for next year and I'll be able to play along with all of your Christmas fun!